In the July 2018 issue of Direct Selling News, President of a2b Fulfillment, Ayal Latz, talks about outsourcing the fulfillment function within the direct selling industry and notes five factors that businesses should consider in partnering with a fulfillment provider. Quantifiable Cost – Outsourced fulfillment provides a mostly variable cost component to your campaign. If you sell, you ship. If you ship, you incur known and predictable costs. As you’re building campaign financials, outsourcing allows for a tighter budget. If you predict activity, the fulfillment cost can be projected accurately. Compare this to doing fulfillment on your own. Try to think of all the cost factors you will be budgeting for: warehouse space, taxes, utilities and labor. It is very likely you won’t anticipate every single factor that needs to be included. Even if you can, you don’t know how to predict the variability of each over time; which makes your entire financial plan risky. With outsourcing, you will largely pre-negotiate costs on a transactional basis. Expertise – When hiring a 3pl provider these days, experience matters! Fulfillment is a lot more complicated than most people think. To do it accurately and effectively, you need specialized systems, labor, management and expertise. Even established direct sellers with their own distribution centers fulfilling B2B orders should think twice before trying to utilize these resources for consumer-direct fulfillment. They’re very different and the landscape is very dynamic. Carriers and freight programs are ever-changing, technology is evolving and consumer expectations are becoming more demanding. An experienced fulfillment provider is on top of these changes and can shift you into more advantageous programs quickly. Outsourced fulfillment centers often have years of experience across many product lines, campaigns and industries. All this accumulated knowledge is applied for the benefit of each client. Finally, every successful fulfillment provider has mastered labor management. Would you like to be an expert in this area? Or would you rather create, market and sell your products? Lower costs – Beyond the discussion of fixed vs. variable costs, outsourcing your fulfillment will enable you to leverage the scale of your provider. Fulfillment providers ship a whole lot more than you do. Therefore, their shipping rates are lower and give you a competitive advantage. In many cases, the savings in this category will pay for the services. The same can be said for supplies and other consumables. Ride the coat tails of your provider. Location – The location of your fulfillment center plays a major role in reducing transit time (and saving on your shipping costs in the process!). If you handle your own fulfillment, you are stuck with your own geographical location. Most Direct Sellers are reaching an audience nationwide, or even global. Choosing a provider with strategic facilities will help greatly. For example, by incorporating just two facilities in optimal locations you can achieve a 2-day ground transit to over 90% of US households. Those without enough distribution centers (or with sub-optimally positioned DC’s) will be burdened with the costs of express and priority shipping if they are to meet the demands of today’s consumer. Depth-of-service options – Think about what services are important to you, both today and in the future. Many fulfillment providers offer the basics: warehousing and shipping. But others go way beyond and offer far more value. These complimentary services can save you from having to manage these processing in-house or through several additional vendors, and include: customer care, kitting and assembly, reverse logistics, product refurbishment, order management technology, data analytics, subscription management, marketplace integration, payment processing and more. You may have needs for several of these functions, and with the right provider you can create a package that is provided by one supplier, simplifying your management efforts. If your direct selling fulfillment operation needs help with any of these areas, we would welcome you to reach out and talk to us about your specific business needs. 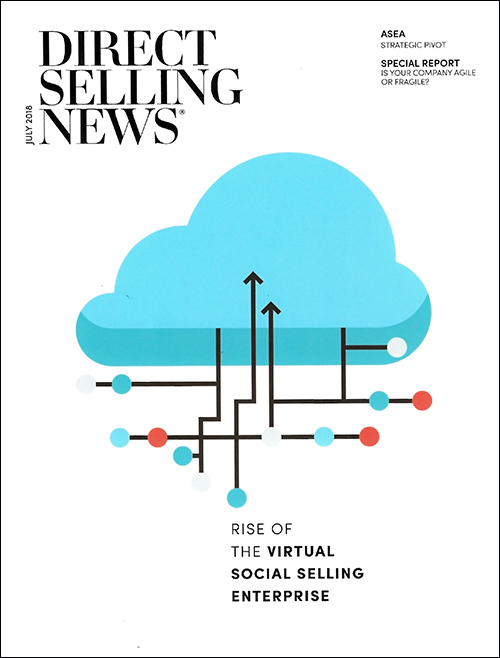 To download the full version of this story, check out the July 2018 issue of Direct Selling News.